The benthic zone is region of a body of water (lake, river, or ocean) that is near the bottom. It includes the surface and some of the sub-surface layers of the sediment. The sediment can sand, mud, rocks, coral, among other substances. Benthos are organisms living in the benthic zone. These organisms are predominately invertebrates, but the benthic community is very important to some fish species. 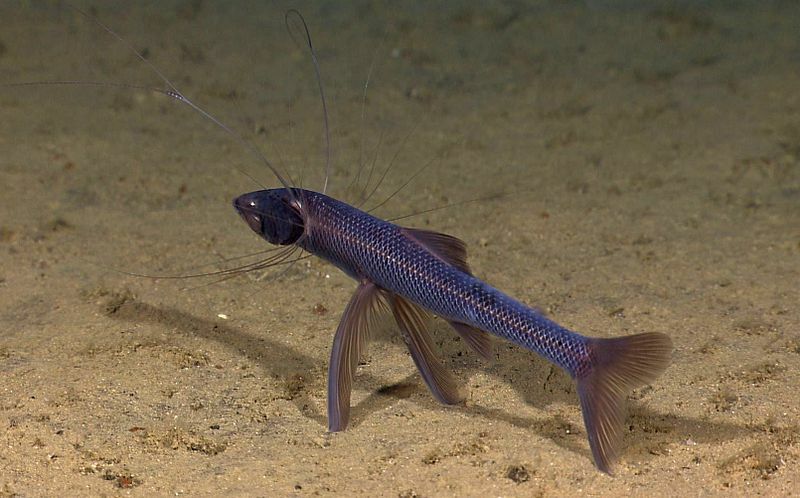 For example, the tripod fish (Bathypterois grallator) is a deep-sea benthic fish that uses modified fins and fin rays to stand on the ocean floor and wait for prey items to approach. These fish can grow up to 3 feet long!